Try our first lesson right now for free! While the Mandarin Chinese language offers a rich culture and literature, this language presents a number of unique challenges to potential students. 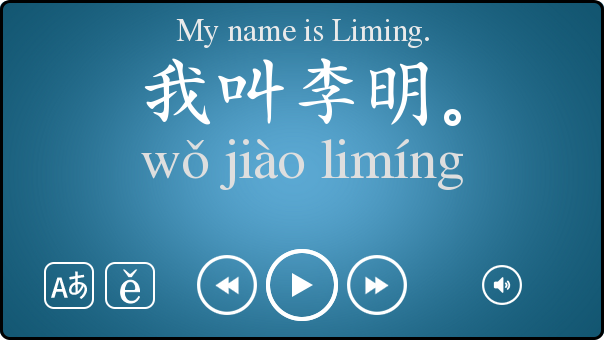 Our interactive, mixed-media instruction method tackles the very issues that are difficult for some early learners of Chinese. Our lessons feature detailed English-language narration describing each step of the lesson in simple, easy to understand terms. While each lesson features an interactive element, the lessons play through a default sequence, allowing you to sit back and passively skim through content. 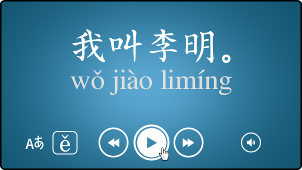 If you're interested in a more in-depth exploration of the language, our interactive lessons allow you to go through each conversation in close detail, with full native-language translations, pronunciation guides, and streaming HTML5 audio (just click on the Chinese text to hear individual words).